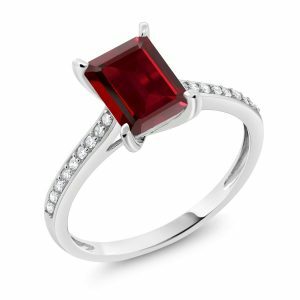 Garnet Engagement Rings – Perfect for Girls Born in January! Looking for a great engagement jewelry piece with a stunning pop of color? 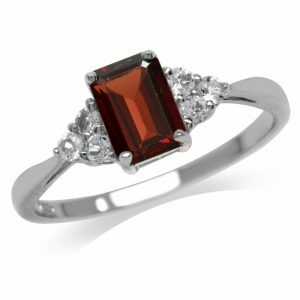 Garnet can be an excellent choice of engagement ring with its vibrant and deep hues of red. Garnet is strong, natural, and very beautiful. Fortunately, it is also relatively inexpensive. 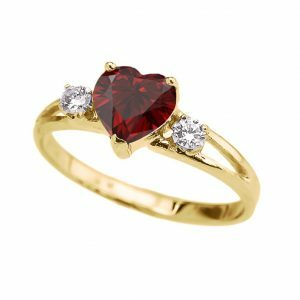 That means you can get a high-quality, gorgeous, and unique garnet engagement ring for a fraction of the cost of rings that feature other precious stones such as diamonds or rubies. A cool bonus is that garnet is the birth stone for January! So, garnet is an especially perfect choice for girls born in the first month of the year! We are starting off our picks with this unique option from BL Jewelry. 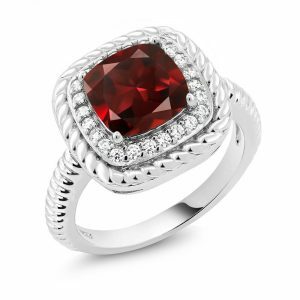 This ring features a 2.2-carat genuine garnet gemstone. It has a deep red color that is very romantic. The solid sterling silver of the band is made up of intricate filigree details. 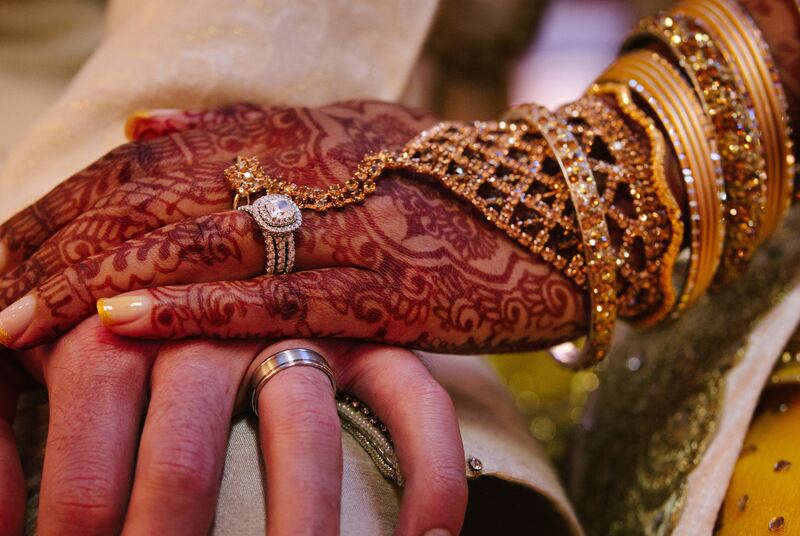 These filigree details within the band go very well with the antique finishing of the ring. Together, these features give it a very timeless vintage look. 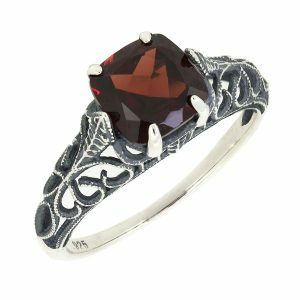 The details of the wring swirl and curl upwards until you get to the carefully polished silver prongs that bend to hold the garnet stone in place at the top and bottom of the stone. The stone itself features a cushion-cut design. 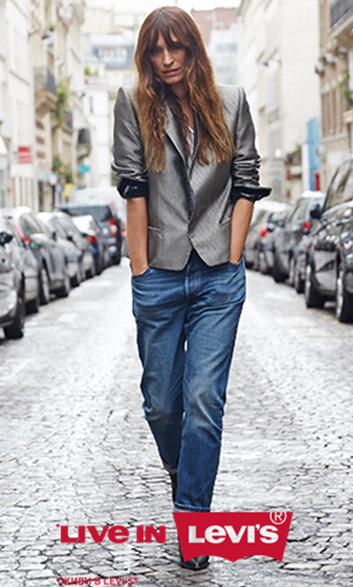 This creates a feminine look that is very soft and pretty. A stamp in the band lets you know that this is made of solid 925 sterling silver, which is both beautiful as well as strong and durable. The antique finish, as well as the deep red of the garnet, make for a darker appearance that matches great with a variety of styles. The ring is available in women’s sizes 5 through 9. It even comes with a perfectly sized gift box that helps make a proposal day as special as possible! A slightly more expensive, but very high-quality choice is this precious yellow gold and garnet piece! This ring is made from solid 10k yellow gold. The traditional yellow gold is offset perfectly by the entirely unique garnet stone at the center of the ring. This stone is definitely the focal point as it features a beautiful multi-faceted round cut and is securely held in place by 4 carefully set yellow gold prongs. The natural garnet stone is just over 1mm in diameter. This is a dainty choice of engagement ring that is highly feminine. The band stays the same thin width all the way around the finger and the garnet stone setting is raised just slightly above the top of the band. This creates two small openings where you can see through the ring when looking at it straight forward. Down the sides of the band, on each side of the natural garnet stone, there are rows of small natural white diamonds. These little diamonds feature the same round cut as the garnet stone but are mounted along the sides of the ring with white gold opposed to the yellow gold that is used in the rest of the design. This gives for a seamless look among the rows of diamonds as well as a slight contrast with the rest of the ring. There are 6 small diamonds mounted down each side for a total of 12 diamonds in the full design. All of the stones feature incredible cut and clarity that sparkles beautifully. It goes very well with the fine polished finish of the yellow gold band. The ring is available in tons of different sizes ranging from size 4 to size 12. It even features half sizes and quarter sizes. This almost guarantees the most perfect fit possible for any woman. This ring also comes with a convenient box great for proposing and for storage! A very classy yet highly unique option is this lovely engagement ring from LetsBuySilver that features both genuine garnets as well as genuine opal. The ring itself is made from solid 925 silver with a nice, shiny polished finish. All along the band, small swirls of silver details wrap around each other and up the ring to create a Victorian style setting that is nothing short of marvelous. At the very center you’ll find the opal stone that features a smooth oval cut to accentuate its natural beauty perfectly. The ornate silver detailing curls up around the stone to hold it securely to the ring. Then, on each side there is a genuine garnet stone placed. These genuine garnet stones feature a very unique cut called cabochon. This cut means that the tops of the garnet stones are highly polished and completely smooth rather than featuring a faceted design. This still lets the stone shine nicely but provides a different look for a better touch of interest in the piece. These cabochon garnet stones are also mounted into the ring with the silver detailing from the band that comes up and holds the stones in place. 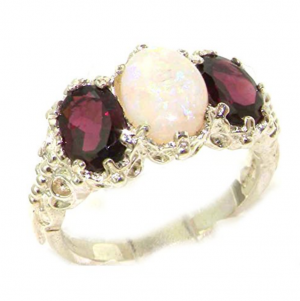 The deep red of the garnet pairs magnificently with the iridescent white of the opal. Even with solid silver, ornate details, and all-natural stones, this ring remains relatively inexpensive. It also comes with a high-quality velvety ring box that makes for a perfect proposal prop! This is also another ring that comes in a huge variety of sizes ranging from 4 to 12 and including all half AND quarter sizes! Gem Stone King is always a favorite for creating stunning pieces of incredible-quality jewelry with completely reasonable pricing. This option is a bit pricier but still quite reasonable for a good engagement ring. It puts a strong emphasis on the actual garnet of the ring. The garnet is completely natural and features a very classy emerald cut. The stone is pretty large measuring 6mm x 8mm and over 2 carats. It is held in place at all 4 corners by strong, wide white gold prongs that match the rest of the solid 10k white gold of the ring. The garnet stone is multi-faceted with a large smooth area at the center. It creates a very nice shine from nearly any angle. The white gold band features the same width all the way around the band and has a thin and light appearance compared to the large emerald-cut garnet. Each side of the ring features 9 white diamonds for a total of 18 on the ring. They have great cut and clarity that add to the brilliant shine of the garnet. Like all Gem Stone King pieces, this option does come with an appropriate ring box that can be used during the proposal as well as for safe storage. It also, of course, comes with Gem Stone King’s lifetime guarantee for increased peace of mind and guaranteed longevity! 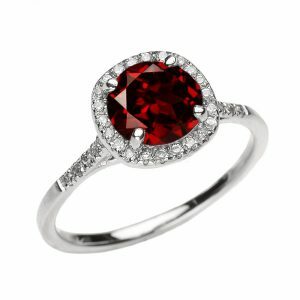 The piece has a slightly modern and very sophisticated feel that makes it an incredible garnet engagement ring option. If you loved the emerald-cut garnet of the above option, but you’re on a tighter budget, here is another great choice! 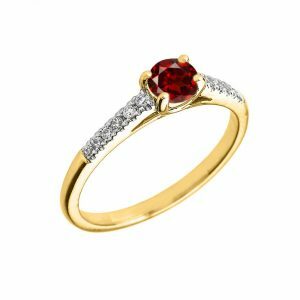 This garnet ring is very affordable for almost any budget but still boats an unbelievable look of sophistication and class. The emerald-cut garnet stone on the ring is 1.28 carats, so smaller than our last pick, but still decently sized. It is a natural garnet as well. The ring itself is 925 sterling silver that is then plated in lovely white gold. This helps save on cost while still giving you that appealing white gold look. The band is thin and feminine. It gets a little smaller as it comes into the center where the stones are mounted. Rather than being placed in a canal or mounted in a row down the side of the ring, the accent stones of this ring are placed together in a triangular shape. There are three accent stones on each side of the garnet stone. They are placed in a way that creates a triangle that points out away from the center garnet stone. These little accent stones are natural white topaz, which has a look very similar to natural white diamonds but comes at a much more affordable cost. The placement of these little stones, as well as the thinning of the band in the center, give this a delicate feminine look. You can choose it in any size ranging from 4 to 12 and including half sizes. It does come with a nice ring box for great easy presentation as well. 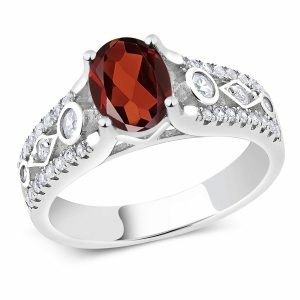 Here is another really cool garnet engagement ring from Gem Stone King! It features charming 10k rose gold. The band is made of the solid rose gold. 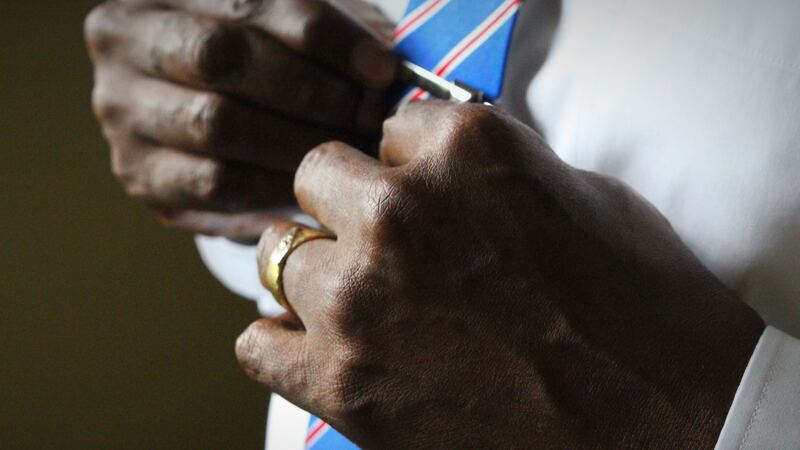 At the bottom of the band, the metal is relatively thin but as it goes up the side of the ring, the band expands and then splits so that each side of the band becomes two separate pieces. The first piece remains plain rose gold and crosses underneath the main stone of the ring to meet the identical piece from the other side. Then the second section of the band curls and curves. One side goes up and curves underneath the top of the main stone and the other side curves and goes to the bottom of the main stone. This center stone is a natural garnet with a very impressive oval cut. This cut features tons of facets that shine from all different angles. It is held in place by 4 rose gold prongs and features a very deep red hue. This deep red paired with the lovely rose color of the rose gold create a very warm look for the elegant piece. Canals along the curving sections of the band are filled with rose gold prongs that create a nice textured look. They also feature 3 small natural accent diamonds on each side spread nicely throughout the canal. It is available in sizes 5 through 9. It comes with a great ring box as well as the Gem Stone King lifetime guarantee! 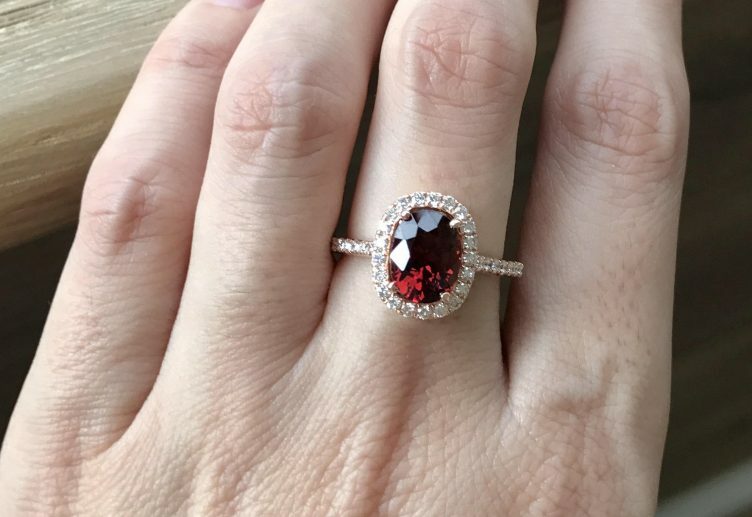 Yet another great pick from Gem Stone King is this impressive cushion-cut garnet ring! This is the perfect option for a girl that really loves her bling! It is highly affordable, yet very flashy in the best way. The huge natural cushion-cut red garnet stone in the center of the ring is 2.74 carats in size and shines gorgeously with a multi-faceted design and deep red color. The stone is then surrounded by a perfect halo of small white cubic zirconia stones. This helps keep the price down on this ring without giving up that pretty sparkle associated with real diamonds. The cubic zirconia has great cut and quality for a more realistic diamond-look. All of this is mounted onto a cushion-shaped plate of solid 925 sterling silver and then surrounded again by more silver. This second halo of sorts is made with solid sterling silver that has a lovely rope appearance. The three different layers on the main piece give it a lot of interest and help it to attract the ideal level of positive attention! The band is made of the same solid 925 sterling silver and has a cool rounded design with little notches all the way around. This adds additional texture for even sweeter little details. You can choose this cushion-cut garnet ring in sizes 5, 6, 7, 8, and 9. This heart ring from Modern Contemporary Rings is a sweet choice that is a perfect way to show you how much you love her. 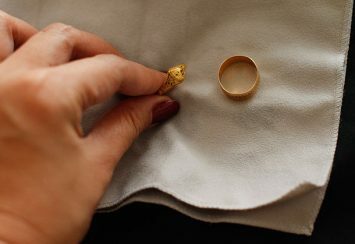 It has a thin solid 14k yellow-gold band that stays a consistent width all the way around the finger. At the top of the band, before the space where the stones are set, the band opens up in the center to create a slit where you can see through the ring. At the very center of the slit, a lovely heart-cut garnet stone features a perfect multi-faceted design that shines with elegance. Three yellow gold prongs that come up from the band of the ring hold this stone securely at the center. On each side of the garnet heart, there are two lovely white topaz accent stones. 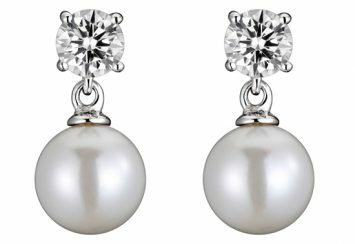 They are completely natural and look nearly identical to white diamonds. They are also mounted with small yellow gold prongs that create simple but elegant details for this very pretty piece of jewelry. It is mid-priced and still very affordable. The yellow gold of the ring features a high polish finish that goes amazingly well with the shine of the stones at the center of the ring. It is made with careful attention to quality in the USA. It comes with a special gift box and can be purchased in a huge range of sizes from size 4 to 12 including all half and quarter sizes as well. This helps guarantee a perfect fit for every woman! This precious dainty 10k white gold option pairs a classic design perfectly with a modern twist. It features a very traditional design of a round stone surrounded by a halo of accent stones. The larger round stone in the center is a stunning natural garnet stone with the round cut. It is held securely by the white gold prongs that rise up from the halo of sparkling natural white diamonds below. The halo houses over 20 individual white diamonds with each one having a diameter of 1mm. The larger round garnet features a diameter of 7mm for size comparison. The halo also has a slight cushion shape for a little contrast with the round shape of the garnet center stone. Several more diamonds are inlaid to the sides of the ring’s band down from the halo. They are the same 1mm-diameter natural white diamonds and they are the perfect finishing touch to add a bit more sparkle to this already very sparkly engagement ring. Made in the USA, this ring is carefully created with attention to detail. The handset stones all undergo careful inspection. 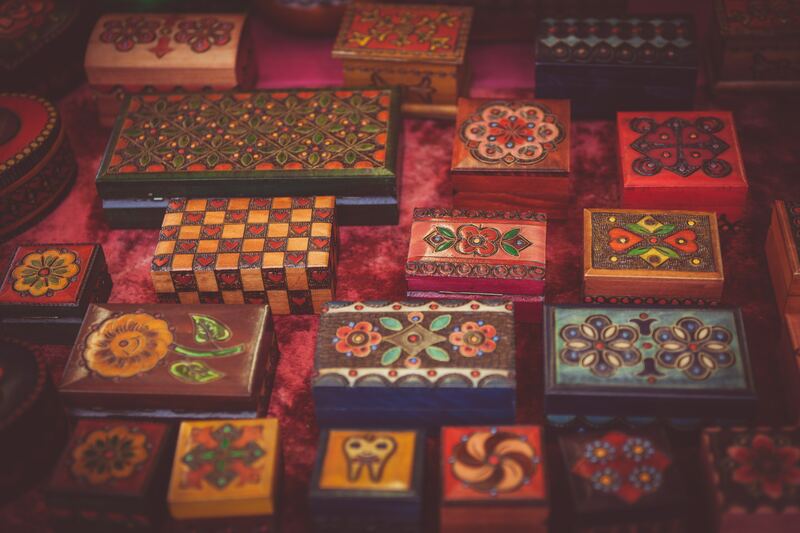 You even get a special ring box with your purchase and can choose the ring in all whole, half, and quarter sizes from 4 to 12. One more incredible option from Gem Stone King is this sterling silver option! This is one of the most affordable of all of our garnet engagement ring picks but it still has a wonderful overall quality to it. It has a wider band than most of our engagement ring choices. This creates more space where stunning details can be placed. Along the sides of the band, there are several cubic zirconia stones inlaid into different silver shapes with beveled edges. Closest to the center, there are circles followed by diamond shapes, and then more circles. Each shape has a single cubic zirconia stone inlaid in it. These shapes are all suspended between the two raised edges of each side of the band. On the raised edges of the sides of the band, there are rows of smaller cubic zirconia stones inlaid. This makes for a total of four rows of these little cubic zirconia stones each featuring 8 individual stones. At the center, these raised edges make a sharp turn and stick straight up to create four prongs. These larger prongs hold the beautiful center garnet stone. The stone is natural garnet and features a great multi-faceted oval cut that shines in a very bright and dazzling way. The metal is solid 925 sterling silver. Again, this provides ample strength and incredible beauty at affordable prices. A cute ring box accompanies this ornate engagement ring for a great presentation during a proposal. You’ll also see that this is another option that features the Gem Stone King lifetime guarantee. So, you never need to worry in case of wear and tear as Gem Stone King will fix it right up for you or even replace the entire ring in some instances. There are no special instructions for caring for garnet specifically, but as with all of your jewelry, you do want to be careful in how you care for it. 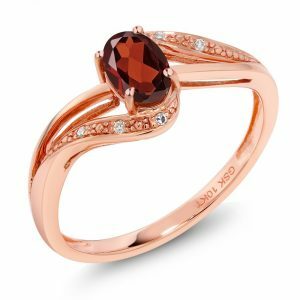 Taking care of your jewelry – garnet and otherwise – is important to help make sure your jewelry stays in good condition and lasts as long as possible. 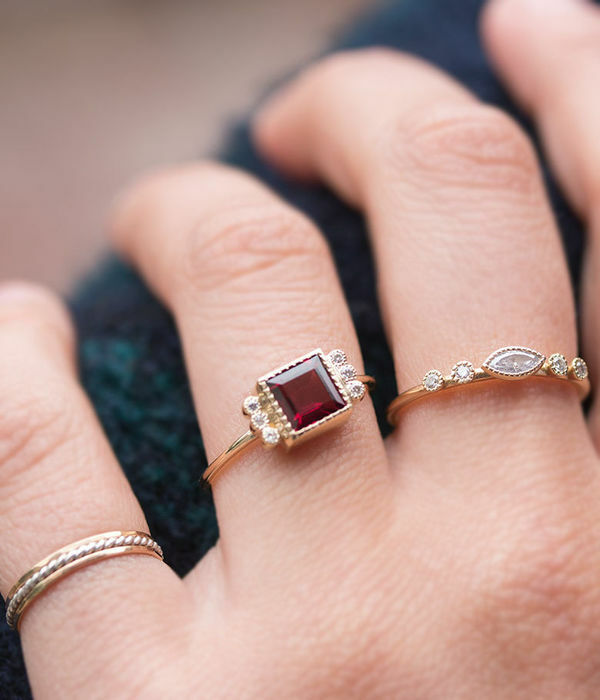 Here are a few tips that can help you care for your garnet ring. To keep it clean and sparkly, you’ll want to wash it regularly. Take care when washing your garnet as to not cause excessive wear and tear. Use warm water and a mild soap or specialized jewelry cleaner. Clean your piece of jewelry with a soft cloth such as microfiber to prevent scratching and to effectively clean the surface. Do not run water directly onto the ring as this can cause unnecessary abrasion. 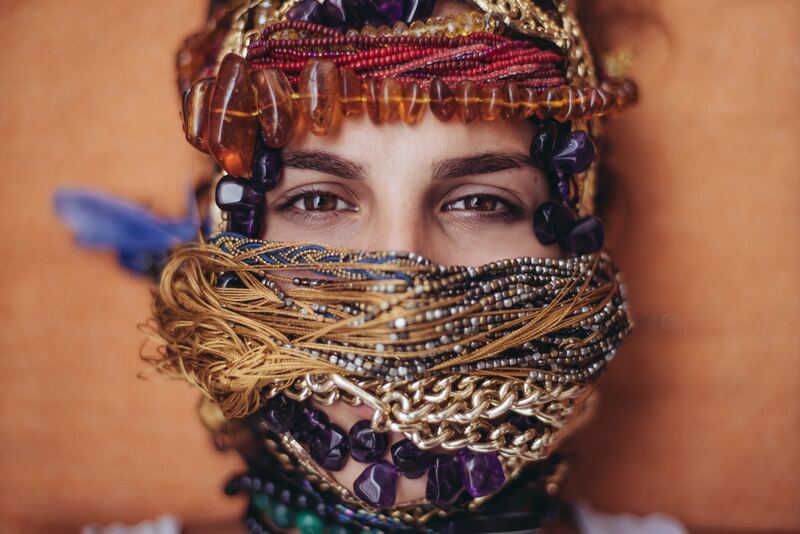 In addition to gentle washing, you’ll want to be very considerate of how you store your jewelry piece. Poor storage practices can cause unwanted damage and decrease the lifespan of your ring. Avoid putting it anywhere that it’s going to get bumped around and rubbed a lot. This means that you shouldn’t put it in your pocket. 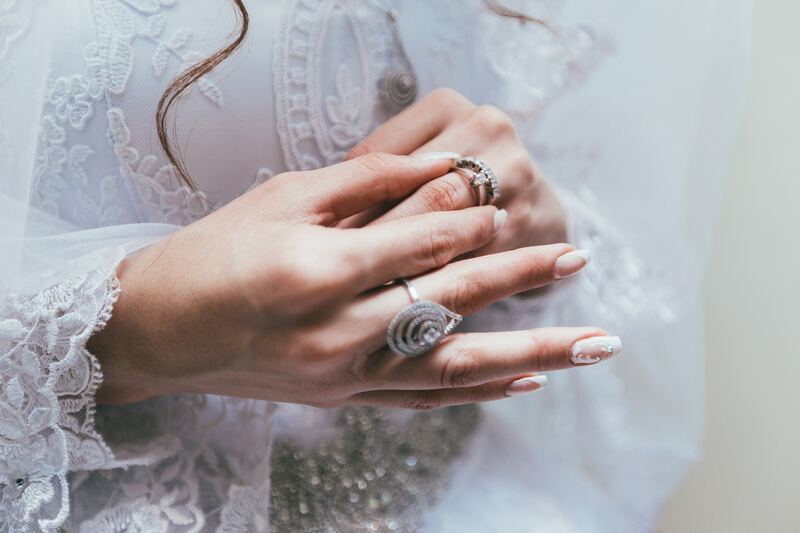 Anytime that you need to store your ring, make sure you put it in a container separate from other jewelry such as a ring box or a soft pouch. The container should then be stored somewhere safe and preferably stationary. Always take your ring off before doing anything too strenuous that can increase wear and tear beyond a normal daily level. Taking it off before you shower and when you go to bed can be helpful at keeping your ring in pristine condition as well. Did you know that all garnets aren’t red? 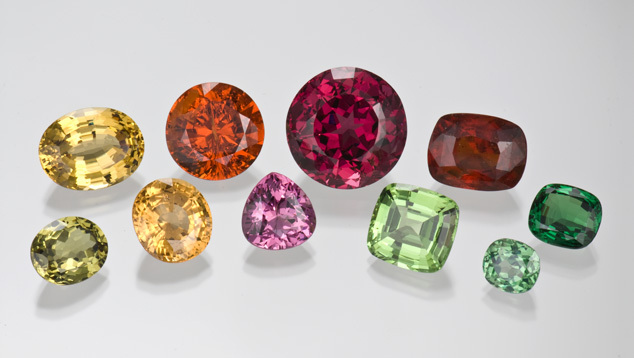 There are actually several different colors that garnets can be ranging from green to orange. However, the red garnets that we all know and love are by far the most popular and well-recognized type of garnets. These stones have always been a popular gemstone throughout human history. The oldest record of humans using garnets as jewelry dates back to 3000 B.C. Garnets have been thought to have many different uses throughout the years. The stones actually were once used as healing stones that could supposedly do everything from drive out depression to cure liver disease. While they aren’t typically used for medicinal purposes nowadays, they do still hold some cool meanings that have held up over the years. One popular belief is that garnet can help to hold relationships together even over longer distances. This is a cool thought and can make them perfect for an engagement ring for couples that might not always be together such as military couples. The lovely gemstone is also said to have some sensual meaning perfect for newlyweds! Garnets are supposed to increase sexual attraction as well as help wearers let go of nervous reservations when they’re with their partner. They are even supposed to help promote monogamy, faithfulness, and trust within a relationship. One more really interesting belief about garnet is that it can increase fertility. When it comes to newlyweds, this can be a reason that might make some couples love it more or may make others want to avoid it! All in all, this is a truly beautiful stone that has a lot of special meaning for a newly engaged or married couple.